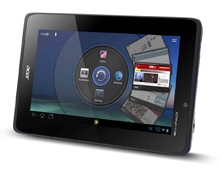 Mobilk - Acer Inc. announces the release of the ICONIA TAB A200, the companys latest tablet. Ideal for sharing good times via gaming, e-books, movies, music, photography, social networking and more, this tablet is an amazing hub of activity for people of all ages, and it comes at a very affordable price. Shipments with Android 4.0 (code named Ice Cream Sandwich, or ICS) will start in January 2012 worldwide. Priced right and looking sleek from all angles, the ICONIA TAB A200 stands out in Titanium Gray or Metallic Red. The rear side is soft to the touch and features an eye-catching pattern. Made especially for multimedia enjoyment, this tablet packs hardware and apps for loads of fun. Visuals are fantastic on the generous 10.1" multitouch screen, and even thrilling games run smoothly thanks to the NVIDIA® Tegra™ 2 Dual Core 1 GHz processor and gyrometer. 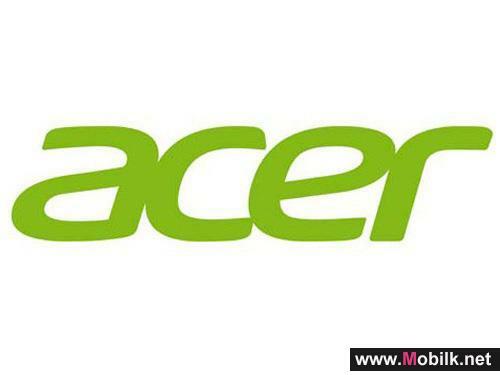 The ICONIA TAB A200 improves multitasking with the Acer Ring interface for setting easy-access apps from any screen. It also features Screenshot, which quickly captures web images, articles, Google Maps and even smiling faces from video calls. 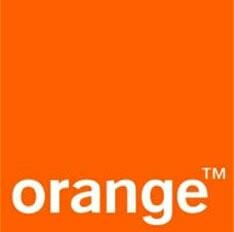 Screenshot can be used in any app on any screen for maximum convenience. Adapted perfectly for mobility, this tablet has a full-size USB port for hooking up other devices and a MicroSD slot for passing data. A 2 MP web camera enables face-to-face chats for keeping friends and family close at hand wherever you are. Whether on the road or at home, sharing multimedia is easy; you can read an e-book or watch a streaming movie, anytime. 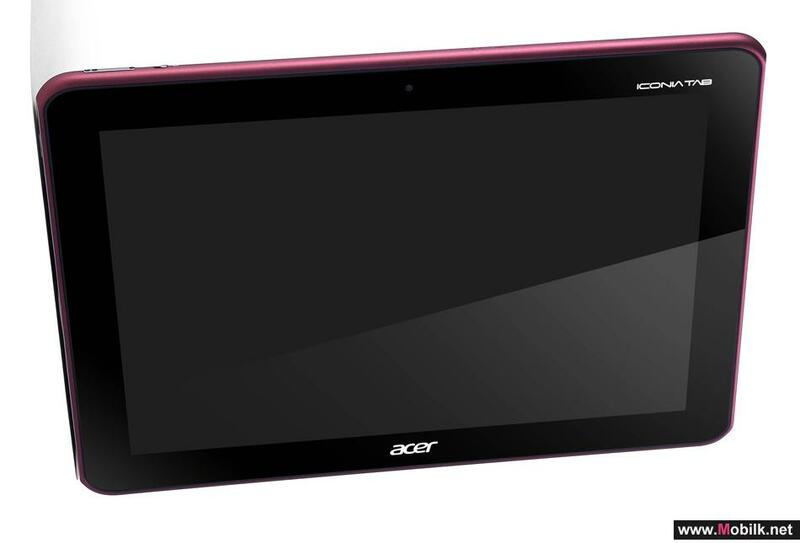 For enhanced social networking the ICONIA TAB A200 includes Acer SocialJogger, which consolidates Facebook, Twitter and more. 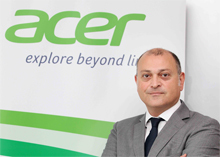 Acer wins Best Customer Promotion Award at DISTREE Middle East 2016..
Acer was awarded the Best Customer Promotion Award for its Acer Nitro Gaming Competition during the DISTREE Middle East Awards Ceremony on May 12 ..
Acer Revamps Operations Across Middle East and Africa Markets ..
Acer aims to deliver sustainable, profitable growth to its channel partner ecosystem across Middle East and Africa (MEA) in 2013 and beyond, said its..
New, More Intuitive Acer.com Provides an Excellent User Experience ..
Acer has revitalized its global website — Acer.com — to provide web surfers with a highly intuitive, touch-optimized interface, along with a look.. When it comes to mobility, a tablet can be an excellent companion for busy professionals always on the move. 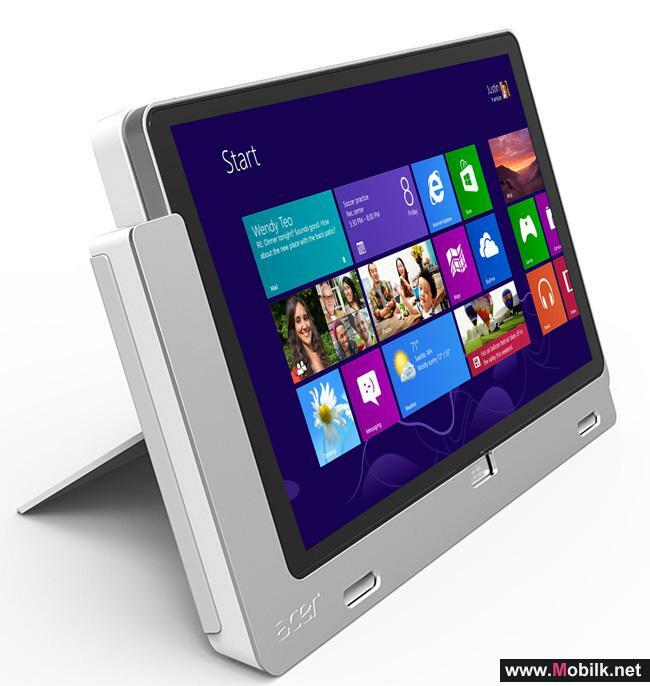 The Acer Iconia W700P is powerful and ultra-responsive; it also features a cradle that stands in portrait or landscape view to provide various usage modes, as well as a Bluetooth keyboard to..